Hand honed and fitted for the ultimate in crisp, clean trigger pull. Adjusts for weight of pull (11⁄2 - 4 lb. ), creep and overtravel. Lock nuts hold settings. Featherweight (FW) features the same adjustments and hand fitting as the Deluxe but no safety. This trigger is well worth the money. It was also a easy install. The rifle only needed to have a little wood removed on the trigger area for clearance. Once installed it needed 0 adjustments; the trigger breaks like glass @ 2 lb's. I installed this featherweight trigger in a 1909 Argentine Mauser with a Douglas 243 Win. medium weight barrel and bedded in a custom walnut stock. There was very minor fitting to the stock and the trigger guard trigger opening had to be widened a bit. Instructions made the install simple and uneventful. Tuning the trigger took a few minutes but again very simple follow the directions. This was the finishing touch to my premier varmint/predator rifle. I couldn't ask for a finer trigger plus the satisfaction of installing it yourself. 5 stars. The first time I used this Trigger it was like night and day..it was the best investments I have made to my (all) Springfields. it is worth every penny.and will use them on every sporte I build. PS even -30 it worked fantastic! I have a Timney Sportsman (this model's previous name) installed on my sporterized 03-A3 since 1969. That rifle has had several thousand rounds through the barrel (s) and this trigger has remained crisp. When i let other shooters use the rifle they always remark how much they like the trigger. 42 years later, it still gets glowing remarks. Replaced the factory heavy two stage trigger with this unit, takes a little fitting but anyone should be to accomplish this with little trouble. Fit patiently and the end result will be well worth it. I now have a crisp, clean pulling three and a half pound trigger where I had a creepy eight plus pound monster. The trigger was a drop-in fit to my 1943 03-A3 barreled action. I did have to enlarge the trigger hole in the stock to clear the trigger adjustment screws. This may not be a problem for others since I custom built the stock. It was a simple job in any case. I did have to slightly widen the trigger slot. 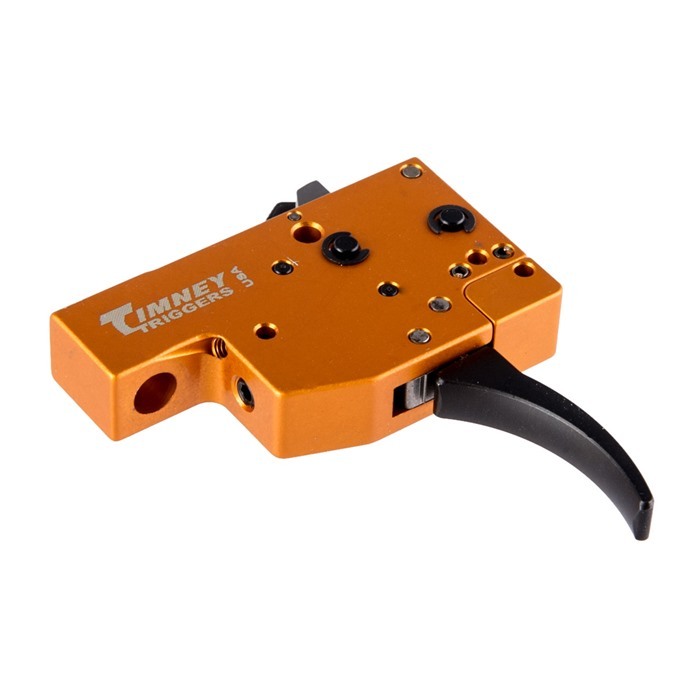 I have a stamped floor plate with a 0.24 inch trigger slot. 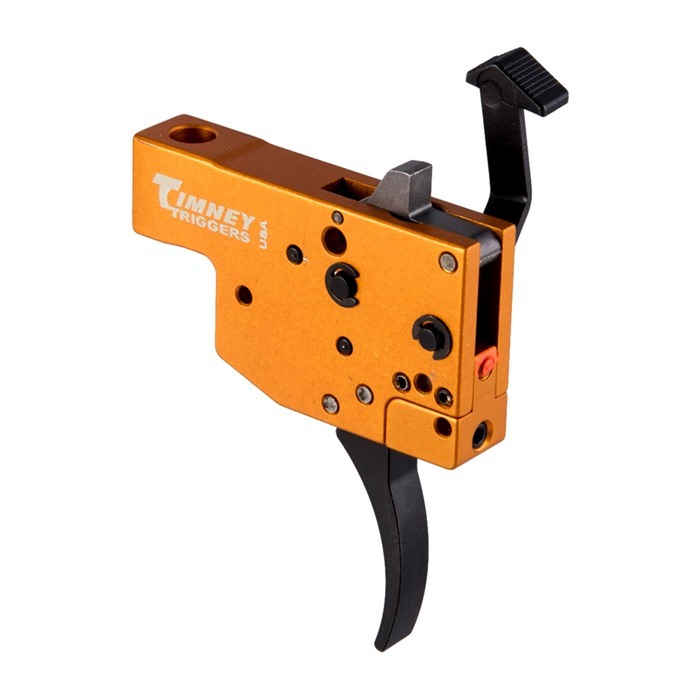 The Timney trigger is 0.25 inches wide. This, too, was a simple job. The trigger breaks clean and crisp. Fully adjustable. Factory setting for trigger pull was 3 lb. which was where I left it. I am very happy with this product. Instructions were clear and helpful. It appears well made and durable. I use my 1903 for target shooting. After many hours work on the stock trigger, polishing ramps and sear, fussing with springs and generally tinkering... I got what I thought was a good result - until I installed the Timney. The new trigger is outstanding. It breaks clean with zero creep, no goofy two stage rubberiness, and no over-travel, no more sore finger. The rifle feels like a modern gun and shoots sub MOA at 100yds, and the trigger played a major role getting that result. Installed in 15 minutes with a small amount of stock in-letting. Could not be happier. Mfr Part: 430 081950068401 Hand honed and fitted for the ultimate in crisp, clean trigger pull. Adjusts for weight of pull (11⁄2 - 4 lb. ), creep and overtravel. Lock nuts hold settings. Featherweight (FW) features the same adjustments and hand fitting as the Deluxe but no safety. 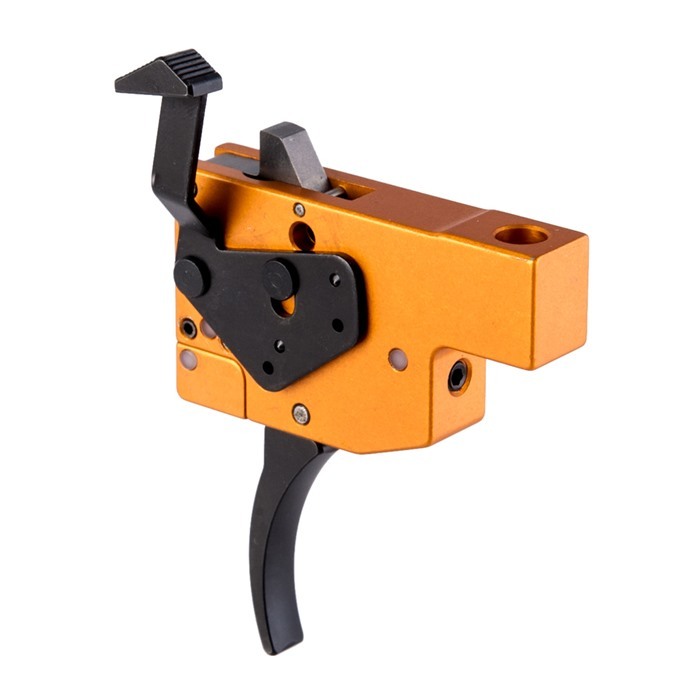 Mfr Part: 209 081950002092 Hand honed and fitted for the ultimate in crisp, clean trigger pull. Adjusts for weight of pull (11⁄2 - 4 lb. ), creep and overtravel. Lock nuts hold settings. 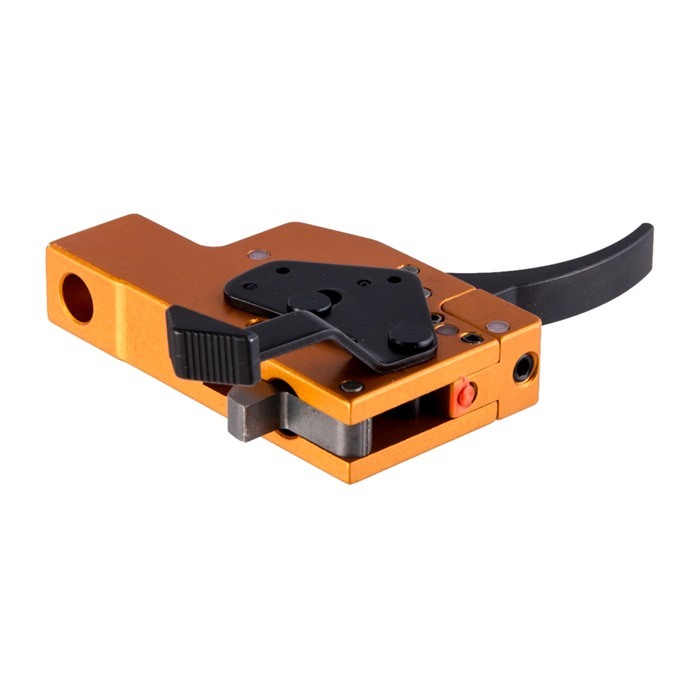 Featherweight (FW) features the same adjustments and hand fitting as the Deluxe but no safety. Mfr Part: 201 081950002016 Hand honed and fitted for the ultimate in crisp, clean trigger pull. Adjusts for weight of pull (11⁄2 - 4 lb. ), creep and overtravel. Lock nuts hold settings. Featherweight (FW) features the same adjustments and hand fitting as the Deluxe but no safety. Mfr Part: 202 081950002023 Hand honed and fitted for the ultimate in crisp, clean trigger pull. Adjusts for weight of pull (11⁄2 - 4 lb. ), creep and overtravel. Lock nuts hold settings. Featherweight (FW) features the same adjustments and hand fitting as the Deluxe but no safety. Mfr Part: 204 081950002047 Hand honed and fitted for the ultimate in crisp, clean trigger pull. Adjusts for weight of pull (11⁄2 - 4 lb. ), creep and overtravel. Lock nuts hold settings. Featherweight (FW) features the same adjustments and hand fitting as the Deluxe but no safety. Mfr Part: 205 081950002054 Hand honed and fitted for the ultimate in crisp, clean trigger pull. Adjusts for weight of pull (11⁄2 - 4 lb. ), creep and overtravel. Lock nuts hold settings. Featherweight (FW) features the same adjustments and hand fitting as the Deluxe but no safety. Mfr Part: 203 081950002030 Hand honed and fitted for the ultimate in crisp, clean trigger pull. Adjusts for weight of pull (11⁄2 - 4 lb. ), creep and overtravel. Lock nuts hold settings. Featherweight (FW) features the same adjustments and hand fitting as the Deluxe but no safety.